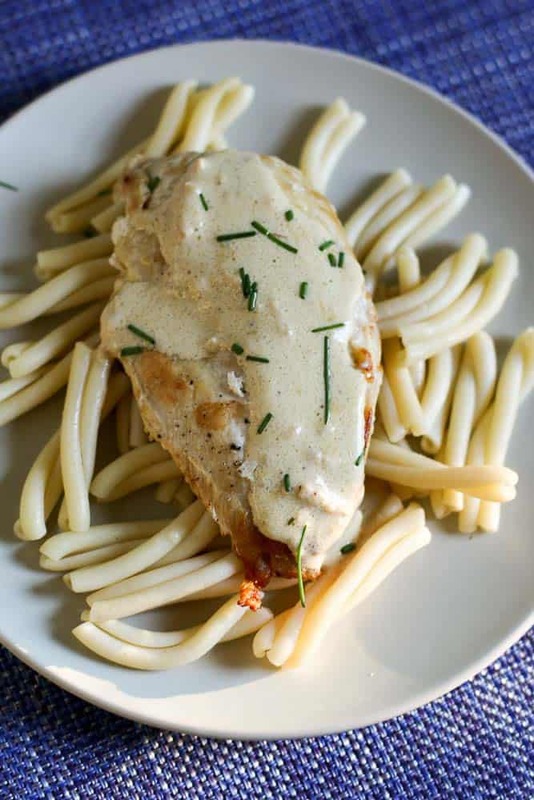 Alonti’s Dijon Chicken is a dish that is made with boneless skinless chicken breasts. You will love this, it is easy to prepare, and it is quite tasty. This is made with Dijon mustard, a bit of heavy cream, and chicken stock. Looking for a new way to serve up chicken breasts, this recipe may be for you. Maybe we are a lot alike. I prepare a lot of boneless, skinless, chicken breasts for dinner. They are often inexpensive, and they cook quickly. You can often prepare a hearty dinner in a short amount of time with these. Extremely versatile you can turn these chicken breasts into an Italian, Mexican, or other inspired meal. This meal is no exception. You can prepare this dinner in about 20 minutes or so. Often when I am preparing this I will cook up some stuffing, rice, or even pasta to pair with this dish. For this recipe, we are going to use a combination of two different types of mustard. I like to use both the Dijon, and if I have it on hand, I like to put a little stone ground brown mustard in this dish. You do not need both different types, but this dish gets a little something extra in flavor when you use the two different types of mustard. Now, I will offer two versions of this recipe, one will be the one they serve, and the second one will be the one where you substitute Sherry for the chicken broth. At Alonti’s they do not serve the dish with Sherry, but if you are at home, you are in control, and I highly recommend this recipe with the Sherry. I like to top this when served with a touch of fresh herbs, you could use chives, or even parsley. I think the fresh herbs add a nice touch to this dish. If you are looking for other easy boneless skinless chicken breast recipes that are perfect for the weeknight be sure to check these out. This is a great way to prepare chicken breasts. Cut chicken breasts in half horizontally. This will help to thin out the chicken breasts, and they will cook faster. If the breast pieces are not uniform you may want to place the pieces within plastic wrap and you may want to pound the breasts into uniform thicknesses. Salt and pepper to chicken on both sides.Heat a large skillet to medium heat and add olive oil and butter. Heat the oils until the butter foams and becomes fragrant. Place chicken pieces into skillet. Cook on both sides until the chicken is done. Remove chicken. Add chopped garlic and saute until the garlic becomes fragrant.Add either chicken stock or dry Sherry. Deglaze the pan by scraping the browned bits from the bottom of the pan. Add heavy cream and mustard. Stir the sauce until it is thoroughly mixed. Serve chicken and spoon sauce over the chicken. If you want to reheat this dish I recommend that you store the sauce and the chicken in separate containers. Looks amazing! My kids would love this! It is a very easy recipe too! I love everything about this dish. Dijon chicken is a favorite of mine. Thank you. My family would LOVE this!! I hope you give this recipe a try soon.